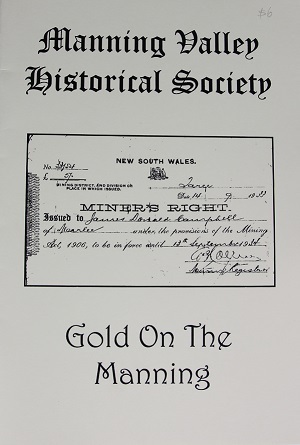 Manning Valley Historical Society is proud to publish a wide-range of books written by local historians as well as its own outstanding researchers. 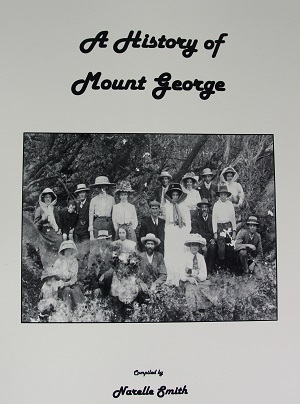 The publications we offer provide a unique insight into the people, places and events that have shaped the history of the Manning Valley. 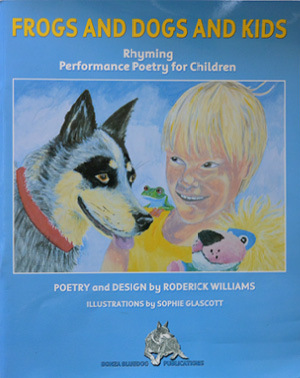 Books may be purchased at Wingham Museum or ordered online at mvhsbooks@outlook.com. Come in and take a look around or browse through the list of publications below. A history of the clothing worn in bygone days that MVHS now holds in its collection. 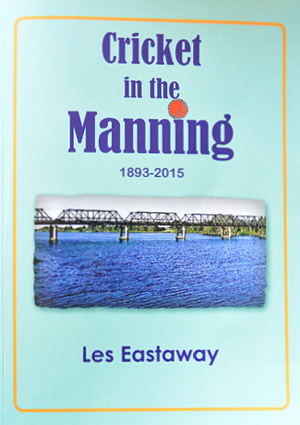 A brief history of the Manning Valley. Narelle has taken the history of Mt. George and produced a collection of stories touching many different facets of the community’s establishment and evolvement over time. 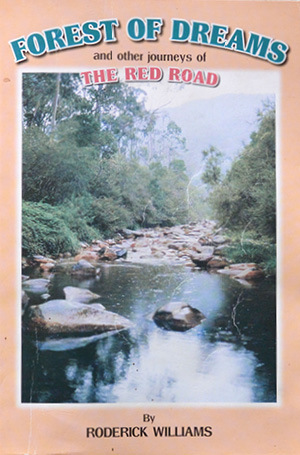 This book records the history of the Bulga Plateau during the period 1970 to 1995. It is essentially an oral history that allows the inhabitants to tell their stories about life in an alternative community on the Bulga Plateau. 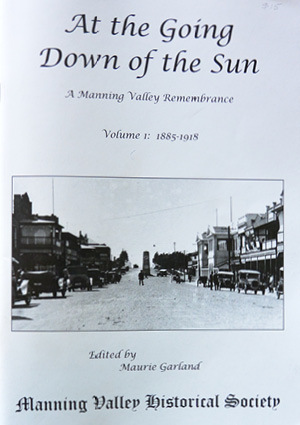 This is the second of two volumes commemorating the sacrifices of young men and women from the Manning Valley in the campaigns of war. 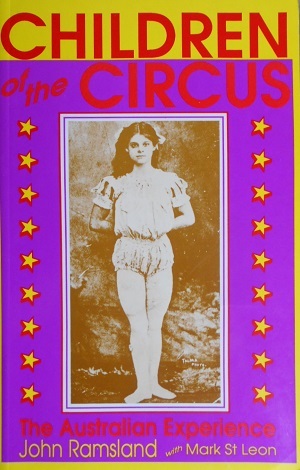 This volume covers the period from 1939 to 2014. Dedicated to those from the Manning Valley who served in conflicts and wars commencing with the Sudan in 1885, and especially those who gave their lives in some foreign field. 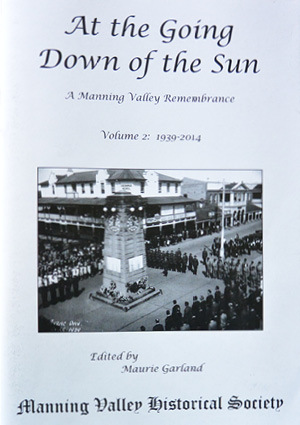 This is the first of two volumes commemorating the sacrifices of young men and women from the Manning Valley. 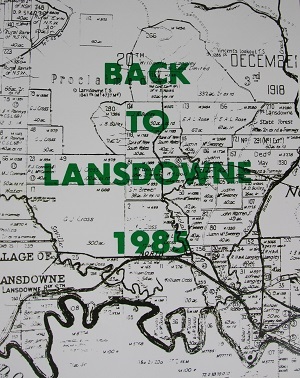 This book is the story of pioneering families in Lansdowne, one of Australia’s better rainforest areas and of people concerned with the betterment of all through community involvement. Its Neighbouring Community, its History, its Churches, its neighbouring schools and its Families. 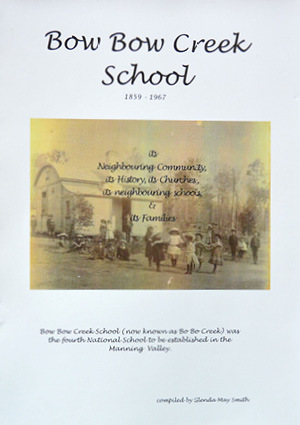 Bow Bow Creek School (now known as Bo Bo Creek) was the fourth National (public) school to be established in the Manning Valley. 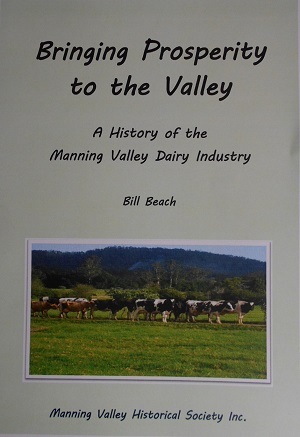 This book is a history of the Manning Valley dairy industry from the 1890s to the present. 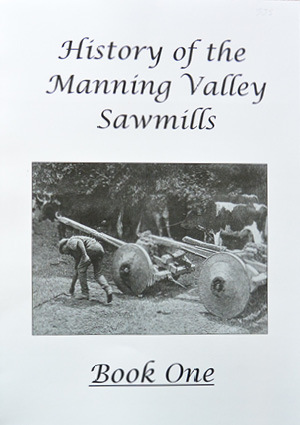 This book has a tribute to John Martin, early history of cricket in the Manning, cricket clubs, grounds and ovals, curators, cricketers, and a photo gallery. There’s a great deal about cricket including stories, fibs, articles, folklore, club records, statistics, and much more. 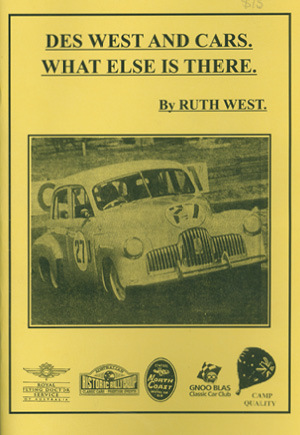 In a motor racing career of forty years, begining in 1953, Des West has done it all, including the 1953 Redex “Round Australia” Trial. There is also a blow by blow description by Des of him driving laps round the Mount Panorama (Bathurst) track in his 327 Monaro in 1968. 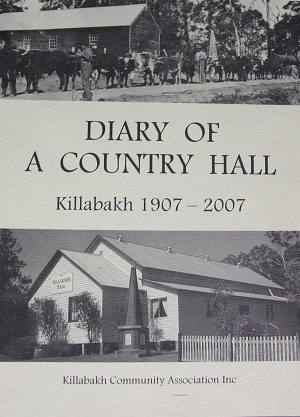 This book is dedicated to all people of the Killabakh Valley – past and present- who have volunteered their time, energy and other resources for the betterment of their Hall and their community. 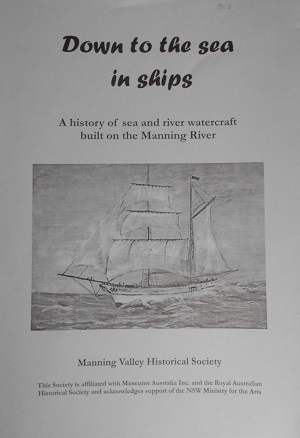 The book details the proud record of ship building, in the Manning Valley, from the 1830’s when William Wynter built the “Tarree” up to the crafts built by Steber and Linton today. It also contains the details of every boat built on the Manning River. The story of the search for gold in the Manning mirrors the rise and fall of the area’s economic prosperity. In prosperous times there was little interest in the search; however in periods of recession (1860s, 1880s-90s and 1930s) this changed and interest increased. Our story focuses on the two most successful fields on the Manning. 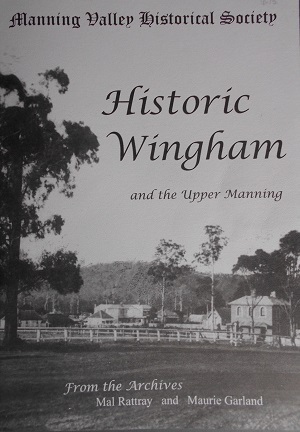 This book gives a smorgasbord of Wingham’s history with written details from information sourced from the Archives of the Manning Valley Historical Society. 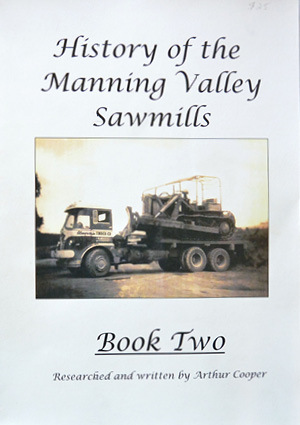 Book Two includes: HG Watson Sawmills at Bulga and Wherrol Flat, Bulga Sawmill Co. at Wherrol Flat and Bobin, Donaldsons at Bulga and Bobin, Glenwarrin Timber Co. at Bulga, Oaks at Doyles River, Kings Head, Green, Allan Taylor, Wallis, Goldsmith, Anderson & Cooper, and Slater, Doyles River Sawmills: Gam, Mulhearn, Trotter & Trotter, and Boyd & Boaden.